No Name is quite different than The Woman in White. In the Introduction to my copy of the book it is explained that Collins intentionally did not use the same formula in writing No Name as The Woman in White because he didn't want his readers to begin to predict him. Also, he wished to hone his craft and improve himself as a writer. I'm not scholarly enough to say whether or not he improved as a writer but I will say that I had a good time reading this book. However, despite his desire to remain unpredictable I didn't think he succeeded. I knew from the beginning what the main character was after and what she was willing to do to get it. The curiosity was in watching the drama unfold. Still, I think No Name can only be more predictable to a modern audience who have been inundated with stories to the point where there is relatively little new under the sun. 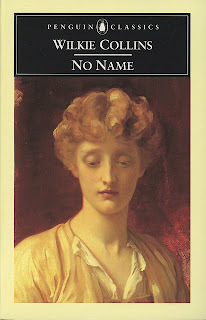 At the time No Name was originally published in 1862 I'm sure it was much more sensational and far less predictable. As an aside - reading the classics is a fascinating business. The stories are rich, wonderful and complex. However, we modern readers have to fight for the time to read them and instead of carving out that time we tend to go for modern "fluff" and quick reads to fill our reading goals. By the time we (or maybe I should say I) ever do get around to reading these classic pieces, they pale in the light of a hundred modern authors. That rather makes me sad, for myself and those who struggle alongside me to get back to the classics. It also makes me happy to realize that classics are even more rich when you read them first and so I have a chance to build my children's reading history in a different manner than my own was built in hopes that they can appreciate more what I tend to appreciate less. But getting back to the story - we find that it opens in 1846 in West Somerset, the country residence of the Vanstone family. We spend the majority of the book getting to know the youngest daughter of the family, Magdalen. The family is wealthy, living in a large house with servants which will put you in mind of Downton Abbey. (And also, if you are a fan of a show, you will not be confused by what the duties of the footman are.) Taking care not to provide any spoilers for those of you who have not yet read or completed this book, the family fortune falls away in a curious manner and Magdalen intends to win it back. We travel with this bright young lady of eighteen years old who ages before our very eyes as a result of desperation and hardship. The lengths she is willing to go to in order to restore the family fortune are rather surprising. To put it bluntly, she's some kind of crazy. The book primarily explores the themes of illegitimacy and the laws of inheritance. No Name is not a mystery so much as it is a suspenseful work (in that you are waiting to see how everything is going to play out). I don't want to spoil the book because I know a few of you are in the middle of it still but for those of you who weren't sure whether or not you wanted to read it I would say it's worth the time. The primary reason I would say to read this book is because of Collins' skill as a writer. (Reading this will help you identify and avoid bad writing and bad dialogue from others.) Collins describes the feelings and emotions of Magdelan in a way that made me hate her and then love her and then hate her all over again. He introduces characters such as Captain Wragge who I initially groaned at meeting and then came to like above all of the others. That to say, Collins has plenty of time to develop his characters into people you can see and hear and understand. Collins' ability to write witty dialogue is really what makes this book such a pleasure to read. He makes you want to laugh at some of his characters so badly and yet there is a major plot unfolding that keeps you just tense enough that you cannot relax enough to do so. He uses Captain Wragge brilliantly for these purposes. Collins wrote of this work that he "endeavored to make the element of humor mainly predominant" and I would say he succeeded! Yes, this book is long (my copy is 610 pages) but despite that it is a fast read. If you are willing to set all other books aside for the moment, you can easily polish this off in a week and be glad of doing so in the end. It will take you on journey of human struggle with the familiar competition between good and evil being worked out in Magdelan and other key players. Yet, just like real life, even when times are ridiculously hard, humor is still to be found if you are willing to look for it. I'm glad to have read this one and thank Tim for choosing it! I'm in a real reading slump right now. I wonder if I can pull this one off by the end of the month. You make me want to try! That sounds like I might like it better than *The Woman in White* (my only real reason for DISliking it was that the Most Awesome Heroine ever had to play second fiddle to a pale, weepy heroine). I shall give it a try! 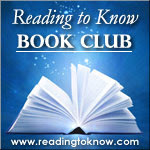 I was enjoying reading this as part of the book club. Then my husband got a job out of state that requires us to move within three weeks of his getting the job. I must have packed my copy of "No Name," and I'm not sure where it ended up! I'm going to have to finish this book whenever it surfaces after we move. I just picked up my copy from the library and am not sure I will finish it before the end of the month... I'll be coming back to read your review after I finish it (yes, I know it said no spoilers). haha. I'm going to WY next week and will have flight time to read but probably not much time while I'm there. I hope to make good progress! It's so true what you said about Classics! I've been trying to work harder at reading Classics with the boys and adding more to our shelves for later. That said, I'm not sure I'm going to finish this one before Friday. Surprising, huh? ;) A trip to the park may be in order. I'm in the middle of it now and I LOVE it. It's my first Collins, and I've been needing to read him for a while now. You are definitely right about carving out time to get to the classics. You are also correct about the page count AND it being a quick read. I mean, relatively speaking. I was finally able to get it on Friday night and I'm already over halfway through. I think you've convinced me! My library hasn't a copy so I suppose I will have to get by with the free kindle edition (I KNOW!). Thanks for the great review! I look forward to reading it.